Look at the latest creation by Coney. 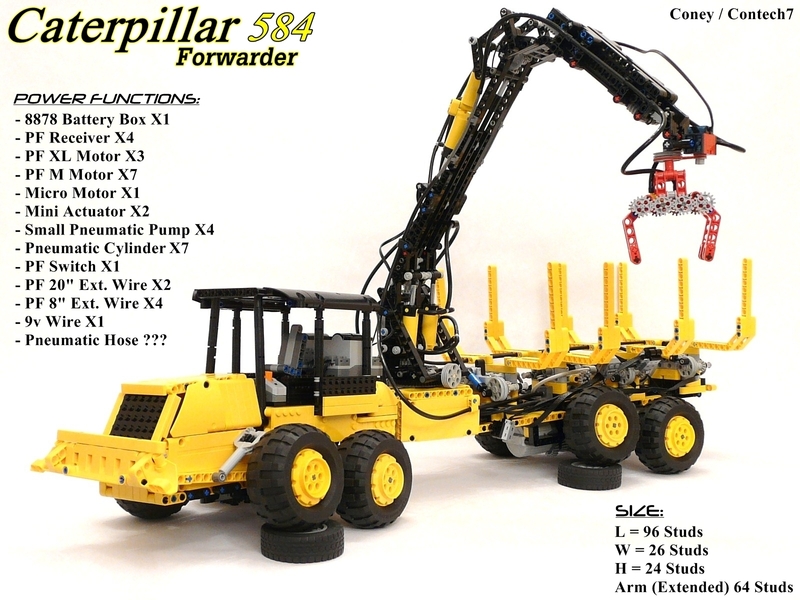 A Caterpillar 584 Forwarder. See where all the functions included in this model are, from the picture below. The arm can be extended in and out and the claw is rotated by a micro motor. The front blade is operated manually by a power function switch located in the cab. It also has working suspension on both the tractor and the trailer. You may find some more detailed pictures, at Coney's BS folder. Just wish the next LEGO Technic Unimog (8110), would have the same amount of functions in its crane arm. This is a great example of something only possible to do if we combine gearing and pneumatics to the same set of functions. 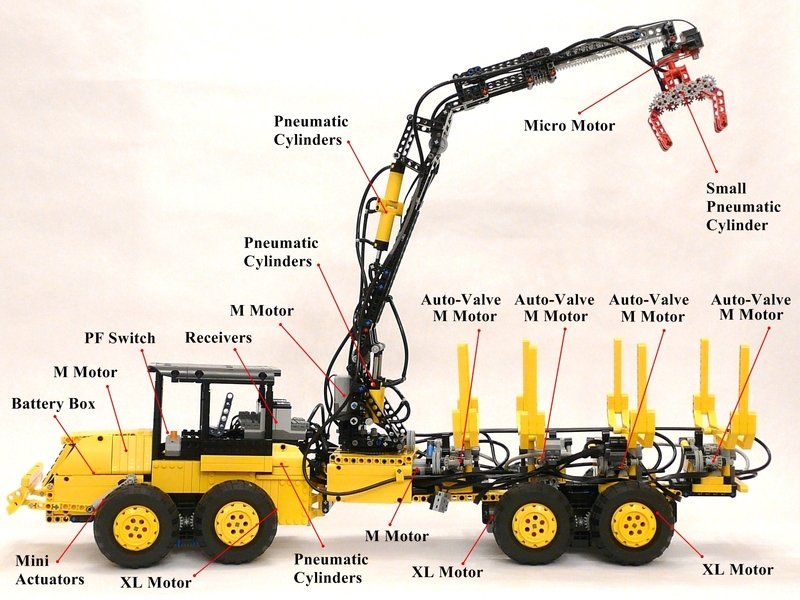 "Just wish the next LEGO Technic Unimog (8110), would have the same amount of functions in its crane arm." Just wish lego would release longer pneumatics, then the telescopic boom could have been done pneumatically, hence more realistically. He also would not have had to double up either of the pneumatics used to raise/lower and bend the arm.